At least 85,000 Yemeni children have died due to extreme starvation as a result of the civil war in Yemen, according to a study released by Save the Children on Wednesday. Save the Children, an international children’s rights organization, used data compiled by the United Nations to track mortality rates for children under five-years-old diagnosed with severe acute malnutrition. The United Nations estimates that nearly 14 million Yemenis are at risk of famine, while classifying the war as the world’s worst humanitarian crisis. The war in Yemen has raged for over three years with the Houthi rebels, supported by Iran, attempting to overthrow the Saudi-backed government of Abdrabbuh Mansur Hadi. Food shipments into Yemen have decreased since the Saudi’s tightened their blockade of several important ports last year. The blockade is an attempt by the Saudis to restrict potential supplies for the Houthi rebels. 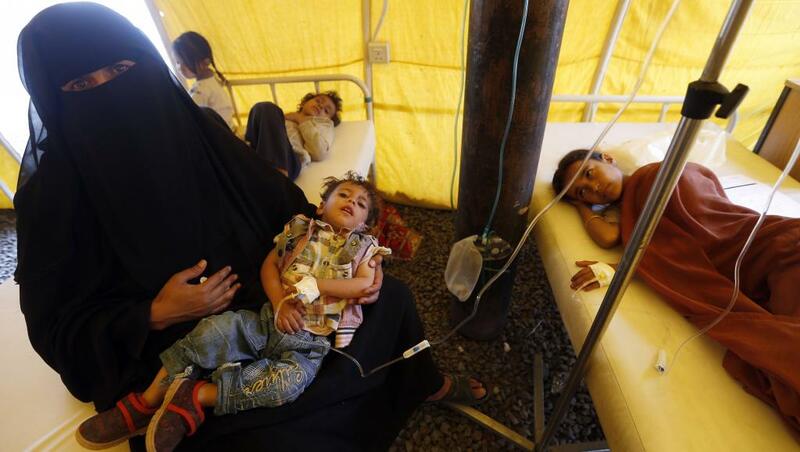 According to Save the Children, the amount of food entering the important port of Hodeidah, the entry point for 80 percent of Yemen’s food imports, has declined by more than 55,000 tons every month since November of 2017. Saudi airstrikes have disabled the port’s ability to send valuable supplies to the rest of the country. Instead of sending food through Hodeidah, organizations like Save the Children have been forced to use the southern port of Aden. Shipments from Aden to the impoverished northern part of the country can take up to three weeks to deliver. With no end to the war in sight, the United Nations estimates that an additional 400,000 Yemeni children will suffer from malnutrition in 2018. Are Wildfires and Climate Change Related?